J. Richey Nash in "Hitting the Cycle". Upon graduating from Princeton University, J. Richey Nash left central New Jersey with a BA in psychology and a contract to play professional baseball. After spending several seasons as a minor-league outfielder with the Padres, Twins, and White Sox, along with one season as a player/coach in Italy, he finally hung up his spikes and landed in New York City. In the Big Apple, Richey studied the craft of acting at the renowned Circle in the Square Theatre and went on to perform in countless stage productions, entrenching himself in the City’s vibrant theatre scene. He also co-founded the Tidemark Theatre Company, serving two years as its co-artistic director and managing producer, as well as performing in three of their productions. Moving to Los Angeles, Richey appeared in numerous films, on network television shows such as George Lopez and Criminal Minds, and on many regional stages throughout Southern California. In 2007, he was named to LA Stage Scene's “Best Of” list for Outstanding Performance in a Drama for his work in the world premiere play Heads. Richey also was named Best Supporting Actor at the 2008 Malibu International Film Festival for the short film Lie Detector. As a writer, Richey has penned several varied works, including the award-winning screenplays Hitting the Cycle (Princeton Entertainment Group Screenplay Competition Finalist) and Elegy in Paradise (CAPE Foundation New Writers Award Finalist). He also wrote, produced and directed the short film Universal Remote, the first project from his Tall Tales Productions banner. Universal Remote received its world premiere at the 2007 Dances With Films Festival in LA and subsequently screened at several other festivals across the country. Hitting the Cycle, also written, produced and directed by Mr. Nash, was Tall Tales' first feature film production. 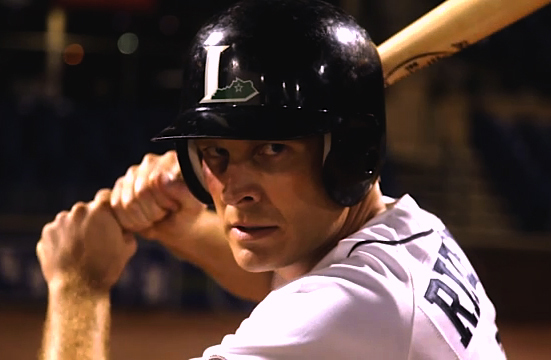 In the movie, Richey played the lead role of "Rip", a pro baseball player at the end of his career struggling with his troubled past and an uncertain future. Hitting the Cycle garnered multiple awards on the film festival circuit, including Best Dramatic Feature at the Manhattan Film Festival in New York City, Best Feature Film & Audience Award at the All Sports Los Angeles Film Festival, and 2nd Place Feature at the Tupelo Film Festival in Mississippi. Hitting the Cycle was released on DVD, VOD and digital download/streaming in August 2013 by Monarch Home Entertainment. Richey now resides back in NYC, where he enjoys a steady career in the entertainment industry as an actor, director, and filmmaker.